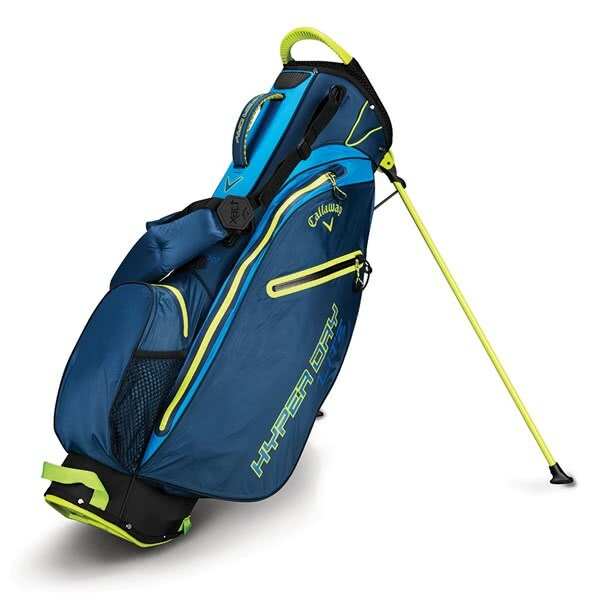 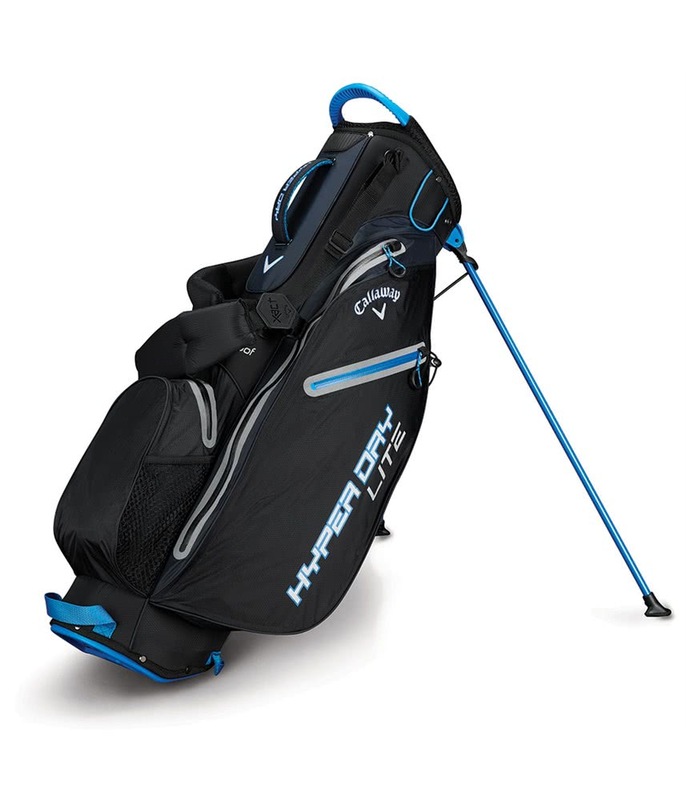 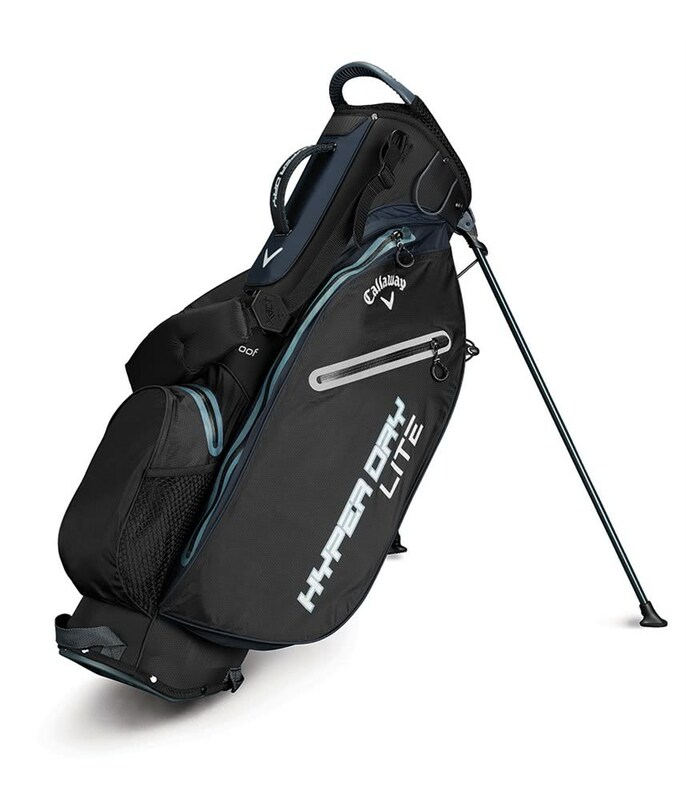 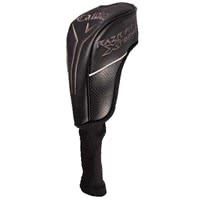 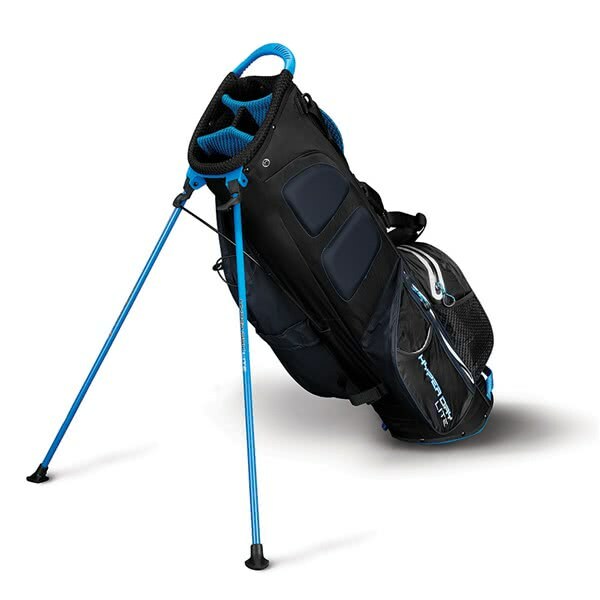 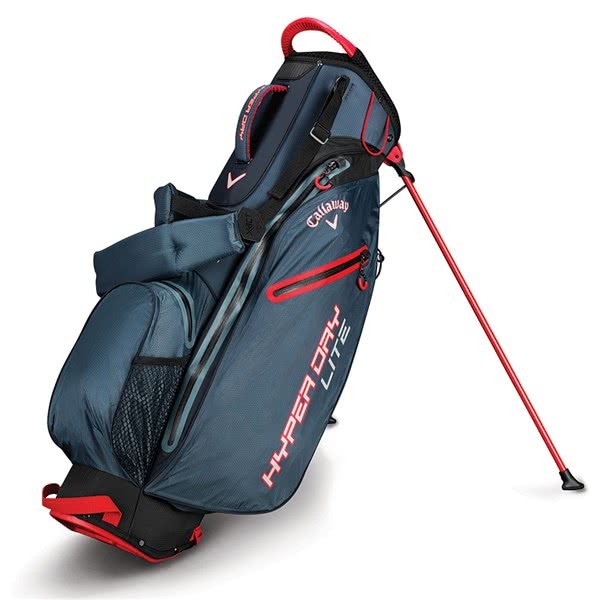 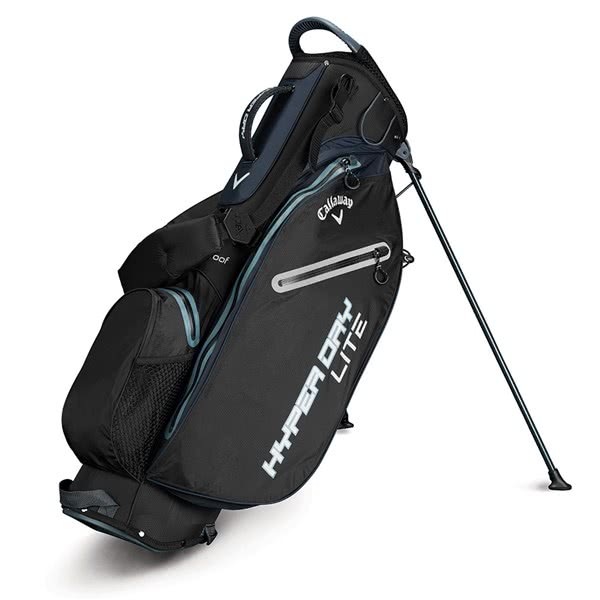 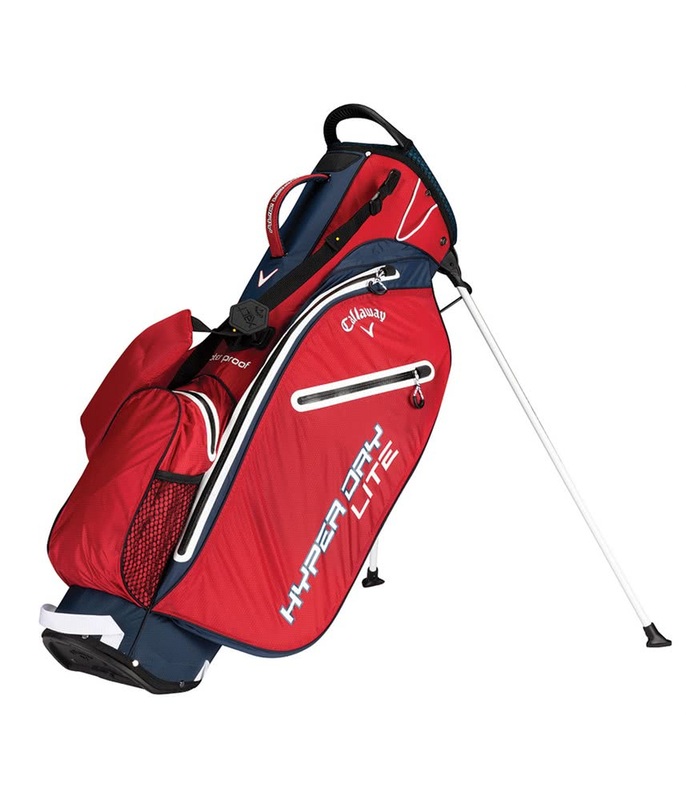 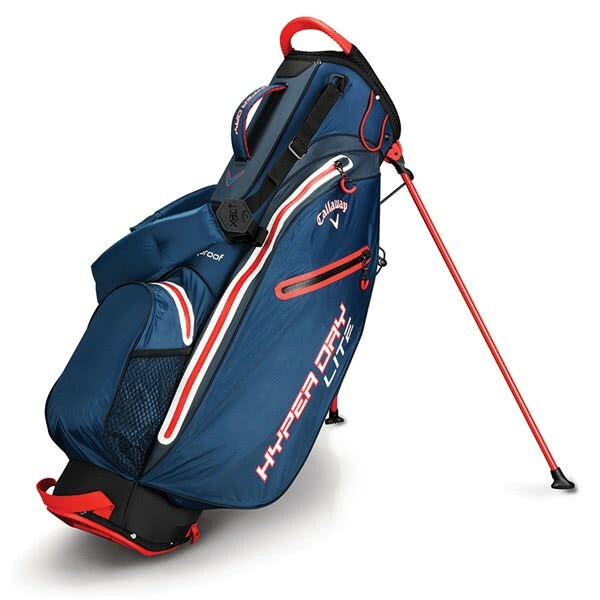 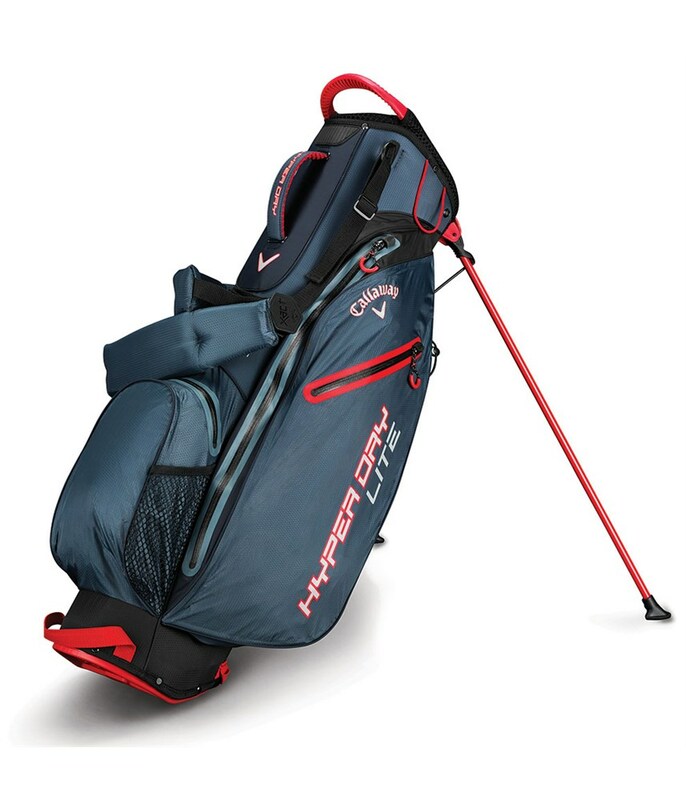 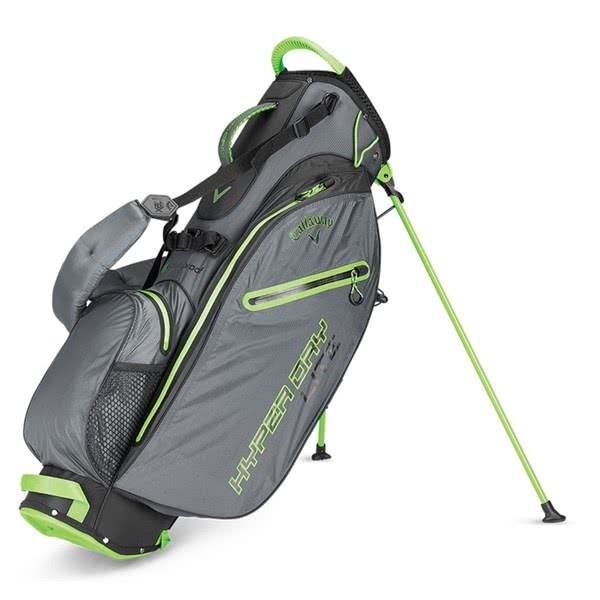 The Callaway Hyper Dry Lite Stand Bag offers excellent protection from the elements with a practical design that will make it the perfect bag for a golfer who prefers to carry. 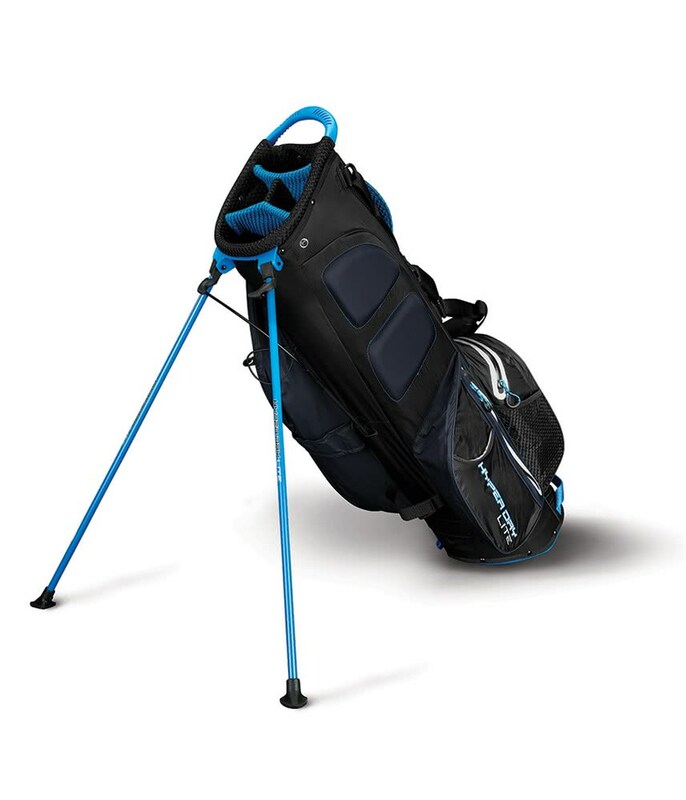 A 4-way top featuring full length dividers provides excellent club management and protection as well as preventing club crowding at the base of the bag. 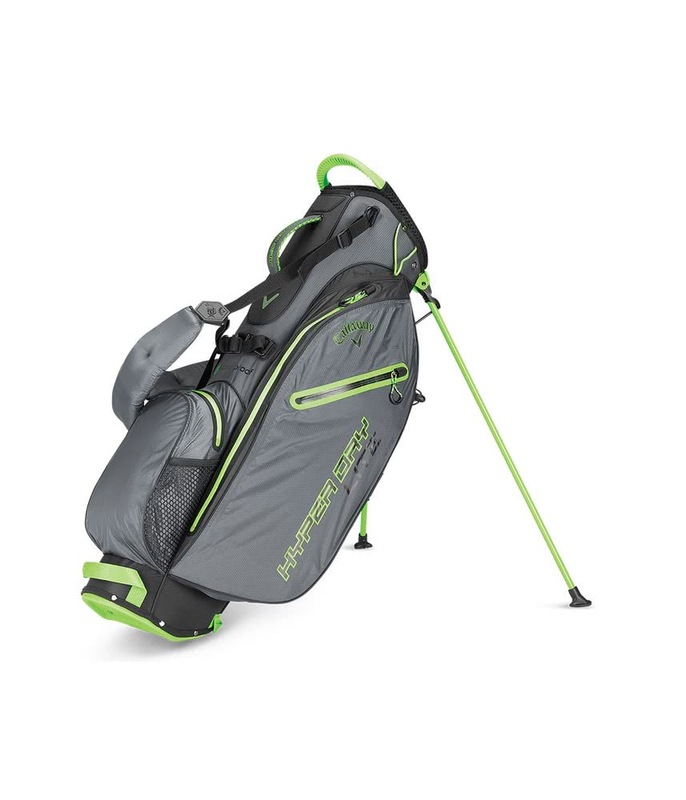 Callaway have created a new lighter weight waterproof fabric that is 26% lighter and 50% more waterproof than the previous model. 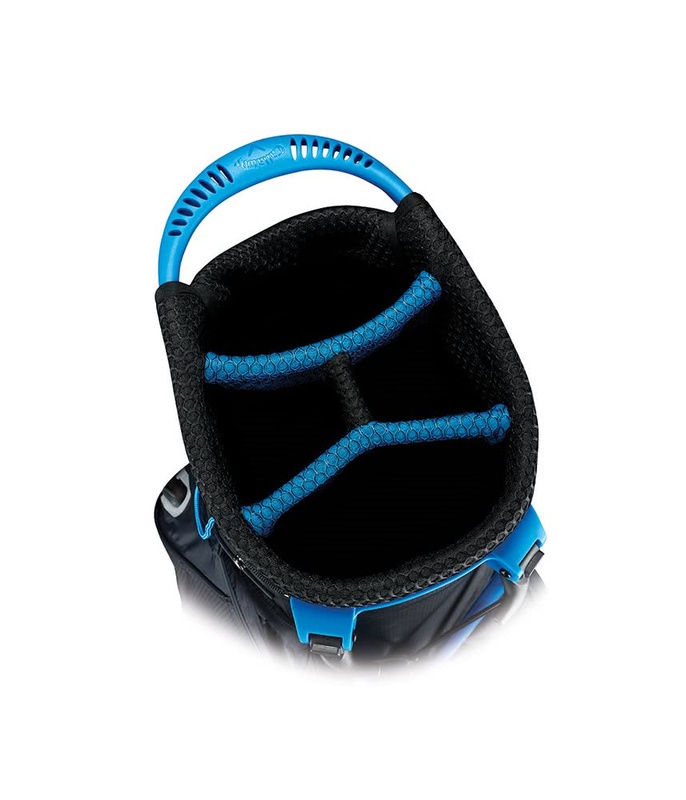 A fully seam sealed design coupled with the waterproof lightweight fabric help to keep the contents dry in the harshest of weather. 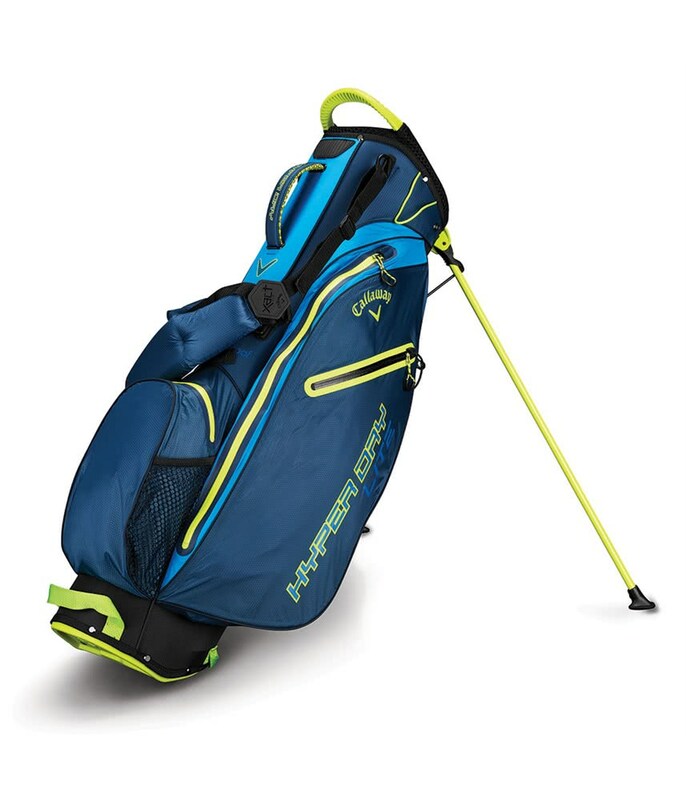 To provide an incredibly comfortable carry the Hyper Dry Fusion Stand Bag features their self-balancing X-Act Fit Strap System. 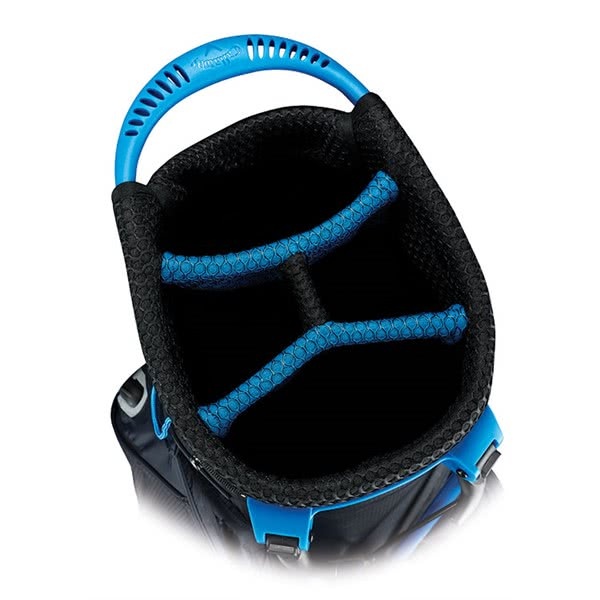 A top mounted stand mechanism featuring non-slip pads provides excellent stability on all types of surfaces for extreme versatility.